Congrats to Stephen Brocks on his first Bar MU! Great Picture of 3 CFJ go getters. Oh yea Open WOD 17.2. CFJ should tear this one up. Good luck and work capacity to all that battle this WOD. Stay smart on your grip and do not go to failure on the T2B or Bar MUs (stop one or two before you probably think). Stay smart there and I believe push the lunge pace with the dumbbells stacked on shoulders as much as possible to rest grip and core as well as reduce time under tension, but make sure they are controlled deliberate lunges (each athlete will need to evaluate if a quick break at the turnaround assists or hurts their efforts). Make sure you break the cleans like DT before you lunge. Below is a rather long read, for those interested? Nowadays there are all kind of tips, tricks, strategies etc for every Open WOD. It is actually a business for some. I have 3 what I feel are very reputable coaches and some strategies to consider or at least educate yourself on and some variations etc.. out there to be aware of. Just remember all the tips and trick and strategies may help some, the bottom line is the work has to be done and you have done hundreds of WODs similar all year with similar moves and time domains. One of the most important strategies or disciplines is to believe in yourself and know you can see this through. 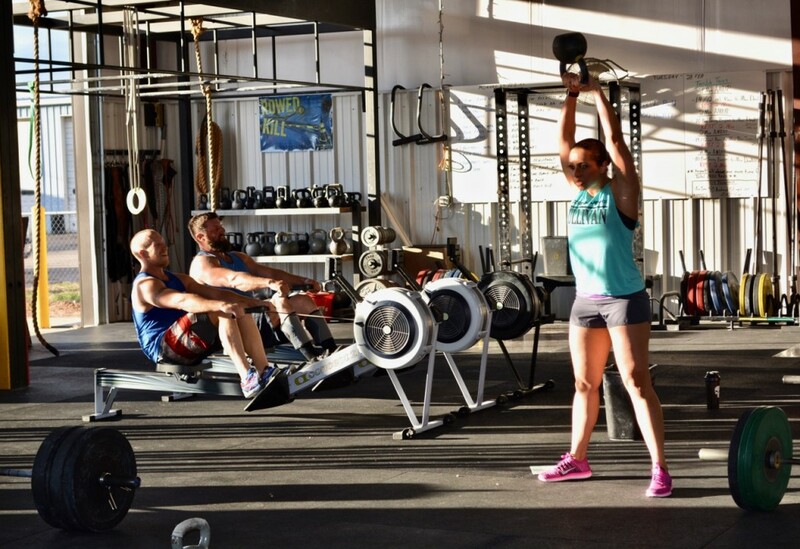 It is just another WOD, give it your best! Copy and past that link if it doesn’t work. Here is Harry Palley and Ben Bergeron with some Master’s CompTrain Strategy. • If you used gymnastic grips in training than feel free to use them in the workout. • Chalk needs to be placed close to the bar. • Stick to Hex dumbbells so they don’t roll away. • Clearly designated lines for the last step of your lunging reps.
You have to warm-up to make the bar muscle ups fluid and clean. Smash the pec, open up your thoracic, work on opening. Stick to two’s or three on Bar Muscle Ups, DON’T try and string them all together. Rep Scheme for TTB should be sets of 8 to avoid burning out your grip too quickly. Map out how many lunges it takes you to get across the line. Try to mimic the same number of steps to ensure you aren’t taking an additional unneeded lunge. Relax your grip and conserve your energy. This workout will not tax you as aerobically as 17.1. There will come a moment in this workout where you will be unable to move any faster due to muscle fatigue or skill level. Give the grip a bit of a rest as you get halfway through the lunge distance. Try to get through a round every 3 minutes. Break up the workout to avoid hitting muscle fatigue too quickly. Your only limitation is grip endurance SO PACE IT. This can be done twice. This workout is essentially skill work for bar muscle ups. If you destroy your hands and your grip, you will not be able to do this workout again, therefore you NEED to find a rep scheme you can manage without ripping your hands. DB – Your thoroughness and optimism never ceases to amaze me. Thanks for all the tips! Attempted a couple MUs but it was a no go….that’s a goal for this year. Great job CFJ! We will miss you all this weekend! Okay I have been asked for one of my style warm-ups to help all of you get READY. Here it is, remember it is a guide. The key is you feel warm, ready, and have the mindset to Get er Dun! I’ll take it being at altitude! Missed my CFJ’ers!!! Best of luck!!! Thank you for judging Miranda!